Build the Ultimate Remote Desktop console and manage multiple systems and environments in a single, central interface. 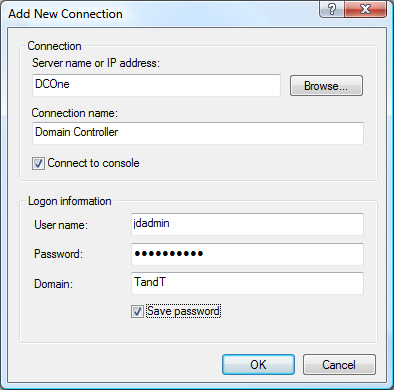 The Remote Desktop Console (RDC) is a great tool to use but there too many steps to get to each server. If you use remote desktops each time you need to connect to a server, you'll quickly find some shortcuts. One of the best is to build the ultimate RDC console, one that provides a central interface and includes connections to every system you need to manage. Windows Server 2003 Administration Pack. The adminpak.msi is located in the i386 folder of the Windows 2003 installation CD or in %systemroot%system32. Make sure you install this first. Administrative credentials. Log on as administrator or use the Runas command to open the console in authoring mode. Now you are ready to prepare your console. Step One. 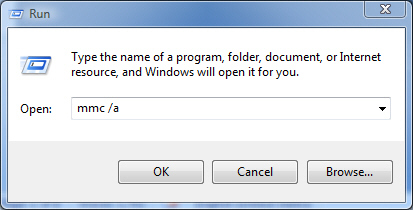 Use Start | Run to execute the following command: MMC /a (see the screen below). This will launch a Computer Management console in authoring mode. Step Two. 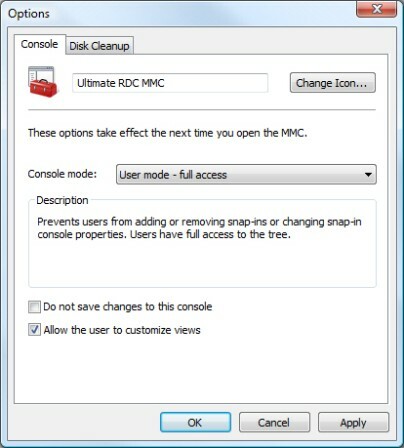 Save the console as Ultimate RDC MMC.msc and put it in your documents folder. Click File and select Save, navigate to My Documents, name the file and click Save. 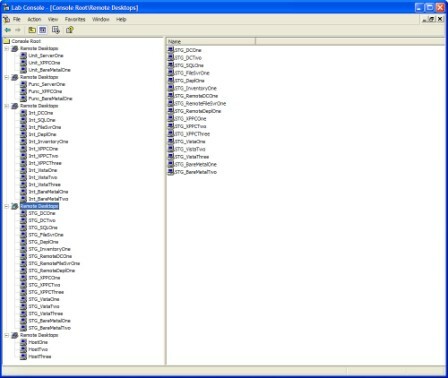 By default, the console wants to be saved under your administrative profile in the Administrative Tools folder, but it is better to save it under My Documents. The reason for saving the console under My Documents is to secure it because you will be saving your credentials in each one of the remote connections you create. By saving it under in My Documents, it is secure by default. Note: In Vista, you will be prompted by User Access Control for your administrative credentials or to allow the action. Also, save the console in your Documents folder. Now you need to add a Remote Desktops snap-in for each environment you need to manage. Using multiple snap-ins makes it easier to differentiate between environments. For example, we manage a lot of test environments, each in their own Active Directory domain. We use different snap-ins to separate each environment. Step Three. Then use File | Add/Remove Snap-in to open the dialog box, and click the Add button. 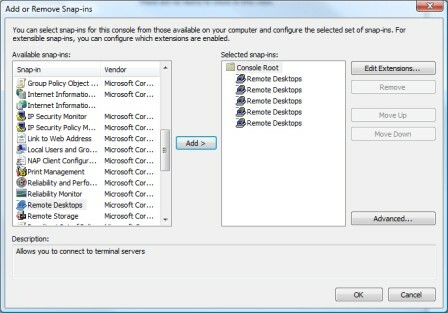 Select the Remote Desktops snap-in under Available Standalone Snap-ins and click the Add button. Click the Add button as many times as you need the snap-in. Click Close and OK when you're done. Note: In Vista, it's even easier. Select the Remote Desktops snap-in from the list in the left pane, and click the Add button to add it to the right pane (see the screen below). Now you're ready to add a connection with saved credentials for each server. You'll need to do the following: Saving credentials allows you to make faster connections to the remote system. But you need to make sure the console is secure, all the more reason to put it under My Documents. The server name or the IP address. The connection name, give a logical name that represents what is under this connection. Don't forget to check the Save password box. This will retain your password for each connection. Click OK when you're done (see the screen below). Repeat the same steps for each connection you need in that environment. Use a different snap-in for each different environment. Save the console when you're done. Finally, you need to save the console settings to complete the console creation. Step Five. Click File | Options and enter the name of your console. Make sure you set the console mode to User mode — full access and uncheck Do not save changes to this console. Click OK when you're done (see the screen below). Save the console again. Now you won't be prompted to save the console each time you close it. Now you're done. You can use your console to manage your multiple servers or virtual machines in a single interface. The next screen illustrates an example of the Ultimate RDC console that includes five different environments. Moving from machine to machine is as easy as clicking on the machine name. If the console or the connection becomes unresponsive, simply right-click on the connection name and choose Disconnect. Right-click again to choose Connect and you're right back in. Also once your connections are made, you can modify their properties, including such items as Screen resolution, linking your local disk drives to the remote machine and more. These connections are really nifty and can save you a lot of time. And there you have it: a great console in five easy steps. This is the first in a series of articles focused on simplifying administrative tasks in Windows Server 2003 SP1 and R2, Windows Vista and Windows Longhorn server. "Thanks for your comment Jeff. We created this console because we have several machines (30 and more) to manage. It would be to many shortcuts on the taskbar, and we would need to check the name of every machine to be able to open the right one."